DraftKings to open a new facility on Atlantic City’s Boardwalk Tomorrow! We’ve got some groundbreaking news, and you’re at the right place to read about it! Indeed, DraftKings recently announced plans to open a sports betting facility along the Boardwalk in Atlantic City! How exciting is that? According to sources, DraftKings will open its doors on November 20th. Their new 5,000 sq.ft. Sportsbook facility will be located right off the Boardwalk at Resorts Casino! So as you can see, DraftKings is making bold strides to establish itself as a Boardwalk Powerhouse! 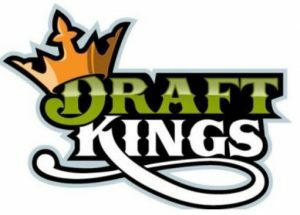 Now that sports betting is here to stay, so is DraftKings! The landscape along the Boardwalk in AC is quickly changing! At the moment, there are seven casinos in the city that offer a sports book. Out of those seven, six are still operating out of smaller, temporary quarters within casinos. Only Ocean Resorts has a full-scale sports betting facility at its location. Although that’s all about to change tomorrow! With that said, DraftKings will now offer the option bet on all your favorite sports either online at home, on your phone from anywhere in NJ and from a physical game-day location! Now you’ll be able to head over to the legendary Boardwalk and experience something never done before in Atlantic City. So you can watch the game, socialize, enjoy food and drinks, and bet on your favorite games all from one spot! As of tomorrow, you can kick back on plush leather furniture and enjoy the game as you bet on your team. Not to mention, there’s also going to be a VIP area with tableside service at the new Draftkings sports lounge! Now that’s what we call high performance! On that note, how does watching the game this weekend and enjoying some short rib empanadas and jalapeno cheddar fries sound? If you thought amazing, then head to town and check out DraftKings new Sportsbook!